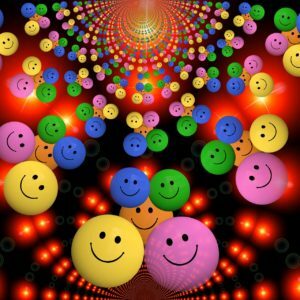 One person’s idea of fun is not necessarily the same as the next person’s, but the idea of fun, the notion, the feeling, the concept is pretty universal. It’s that positive experience of being entertained, amused, fulfilled, even overflowing with enthusiasm and excitement. It’s something that makes you laugh. However you define it, it’s incredibly important. Apart from the being part of what makes us human, there is an obvious link between enthusiasm, excitement and getting, holding and maintaining our interest. When we are fully on board, involved and engaged then our interest is held. When our interest is captured, we work much better, we envelope ourselves in what we are doing and achieve far better results. 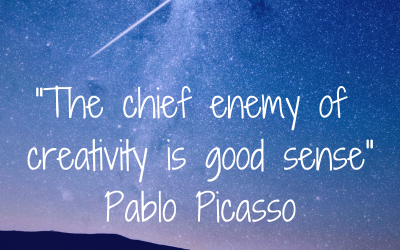 We are more likely to discover that inner creative genius and perhaps have a few lightbulb moments along the way. There is of course a delicate balance to be struck, too much of a good thing can in itself be distracting. Just doing things because you are having a good time is not taking fun seriously. But if our enjoyment of something, our sense of fun can be captured and channelled in a particular direction to learn something new, complete a task or work with others to create something incredible then that’s productive fun. That’s good fun. And workshops can be fun, if you do them right. Whether you are doing a workshop to disseminate information in an interactive way, or creating that convivial and cheerful environment to work through some important ideas, you need to get people on board. And a great way to do this is make it enjoyable. You don’t have to be funny to have fun, and fun doesn’t necessarily mean a rip-roaring, side-splitting constant stream of entertainment. But it does mean doing your best to create the right kind of environment so that people in your workshop have a gratifying and compelling experience. 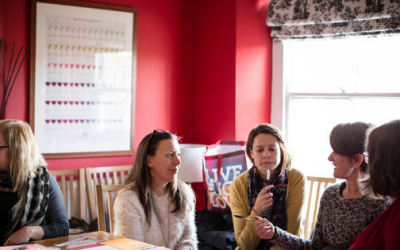 Include some activities – whether these are games that you have made up or tried and tested training or facilitation tools, creating some activities is a good way to inject a bit of fun into a situation. They don’t have to be crazy balloon up your jumper type games, but a few activities will at the very least be interesting, especially if they are new to people. Ice-breakers and energisers are specifically designed to break down barriers and inject some energy into the room. Try some, but remember not everyone feels comfortable doing super crazy activities, so try a simple one as a starter until you know your participants better. New things in themselves can be fun – introduce a few things that participants might not have seen before or heard of. Ask people to share their own new things. Be different – thinking “outside the box” may inspire and motivate people to want more. If everyone uses slides, can you be a bit different? If it’s common to quote certain examples, can you find some new ones, perhaps some that are amusing and will stick in people’s minds? Encourage people to tell their own stories, or recount their own experiences. Hearing new ideas can be stimulating and fun. Variety – when we learn we all do it slightly differently. We cannot predict what will be fun for everyone. So mix it up, try different things, include a good selection. Tell some stories or use anecdotes. They don’t have to be lengthy or even that gripping, but a good story can be fun to listen to and creates an interest in the topic. If you are feeling brave – try a little humour. Most people have a sense of how their own humour goes down with friends and family, and if you get bad feedback, then maybe this is not your calling. But if you get a few laughs, try it out. Think about who you are aiming it and and whether it will go down well or not, and prepare to be surprised. Sometimes you think your participants might not appreciate humour, but even the most corporate faces like to laugh once in a while. Learn to laugh at yourself. While it is good to avoid Frank Spencer type moments, sometimes things can go wrong. Whether it is a flip chart stand collapsing or some materials that you’ve left behind – creating a positive out of a negative can often be turned to your advantage. And if such moments are all too awkward at the time, save the story for your next workshop………. Enjoy yourself! 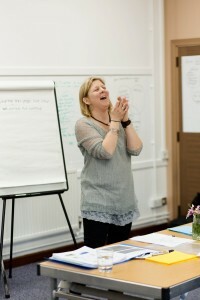 If you are relaxed and happy your participants will be more likely to be too and happy participants who feel positive about the workshop content is what it’s all about. 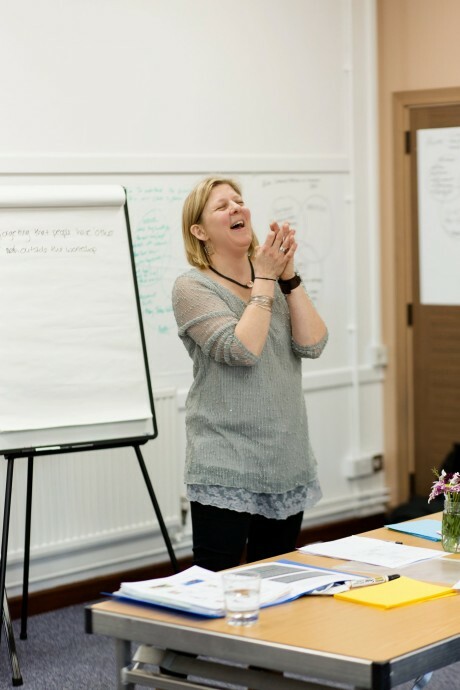 If you want to add a bit of pizzazz to your workshops or need a injection of some new activities, then come to one of my workshops – they’re good fun and I promise not to tell any bad jokes. Or contact me to find out more about the types of facilitation work I do and how I can work with the people in your organisation in a fun and enjoyable way.